Local manufacturers have been given a major boost with a £9.7m business support initiative, which will help thousands of businesses. The Manufacturing Growth Programme (MGP) is an initiative funded through the European Regional Development Fund (ERDF). Grants are delivered by Economic Growth Solutions (EGS) and support growth and job creation within the manufacturing sector. Businesses can access industry specialists and have the opportunity to apply for grants of up to £3500. Support can be used for leadership and management training, R&D, lean manufacturing, productivity and capacity, quality systems, supply chain development and much more. It is open to all SME manufacturers throughout the UK. Lorraine Holmes, Chief Executive Officer of EGS said – “Since the Manufacturing Advice Service (MAS) was abruptly axed, manufacturers have not had access to a support programme that is tailored to their exact requirements and delivered by people who know their sector. This has all changed with the launch of MGP and there is now funding in place to help over 3200 businesses to tackle operational issues and make the most of new opportunities and boost the skills of their workforce”. Typical project values are between £3,00- to £5,000 (ex VAT), with an average grant to a business of about £1,400. 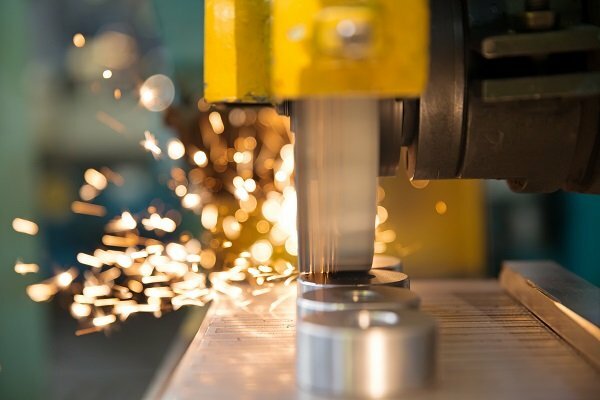 Grants are currently available to manufacturers based in East Sussex, Kent and Essex, as well as across 14 other Local Enterprise Partnership (LEP) areas. Businesses that have used MGP have already created 400 new jobs, and will continue to generate thousands more. Manufacturing industry has coped with extremely challenging economic changes and come through the other side. MGP will help manufacturers to maximise new opportunities. If you would like to be a guest blogger, please contact Chris using the details above.